Litigants are drowning under a spiraling workload of dissatisfaction about not getting assistants to make an application to the High Court fighting their legal battles before the court without lawyers. The court's annual report revealed the overall, workload of the court, in terms of the number of new cases lodged, have increased by 34 per cent. The number of constitutional writs lodged one of two ways, along with special leave applications, to take cases to the High Court rose from 81 to 300 in a year. The bulk of these cases 96 per cent were immigration matters resulting from changes to migration laws.The blame for the escalating immigration caseload rests with amendments to the Migration Act made in October last year, which restricts the High Court from sending matters back to the Federal Court. 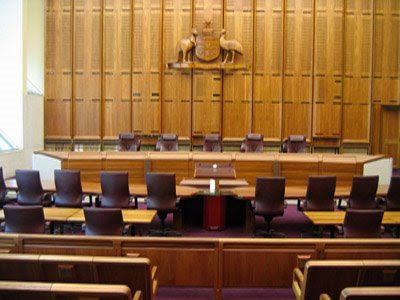 The High Court's most vehement criticism was reserved for the litigants who decided to fight their legal battles without lawyers. The number of such people lodging applications in the High Court rose from 162 to 197 in a year and posed 'special difficulties' for the Court, the report said. "Typically, they had very few assets (as judged by applications for exemption from fees on the grounds of financial hardship) or were in possession of a pensioner concession card or a health benefit card or they were an inmate of a prison or otherwise lawfully detained in a public institution, " the report said. The report blamed the rise on the lack of financial disincentives for people without lawyers from bringing "hopeless cases", with 85 per cent of such litigants not paying any court fees last year. Ten years ago, the number of special leave applications decided by the High Court which involved self represented litigants amounted to 5 per cent of the total; it rose to 14 per cent in 1996 ant to 28 per cent last year. Ed: Perhaps if the said litigants were given support then there would be less 'hopeless cases', less stress, and the extra time wasted by the High Court who is obligated to devote so much time of its members to so many proceedings with such small prospect of success would pay the professional lawyers to support litigants. Is the Westminster System flawed? To say that miscarriages of justice run to epidemic proportions is no exaggeration. We are all too willing to blame corrupt police, but very little penalties have been given out for those crimes. Some of those penalties are also incredibly reduced. All over Australia people are reporting the same thing. I spoke to the Western Australian newspaper one day. "When there is the commission of a crime (corruption) and no suitable penalty is imposed for that crime, then we have to look deeper to define the hand that meters out penalties in relation to all citizens subject to the law and the law alone and that includes the police, the DPP, Politicians and Government officials at the highest levels.